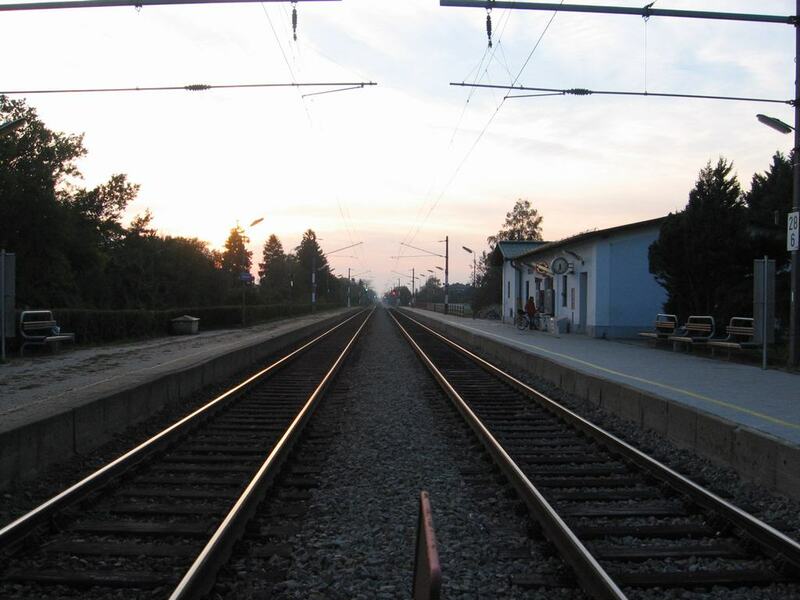 Track at railway station Lahrndorf of line St. Valentin - Kleinreifling. 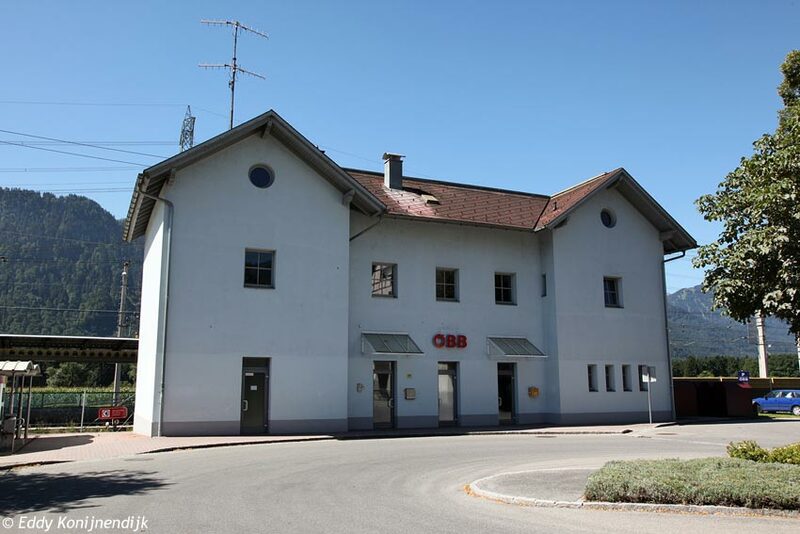 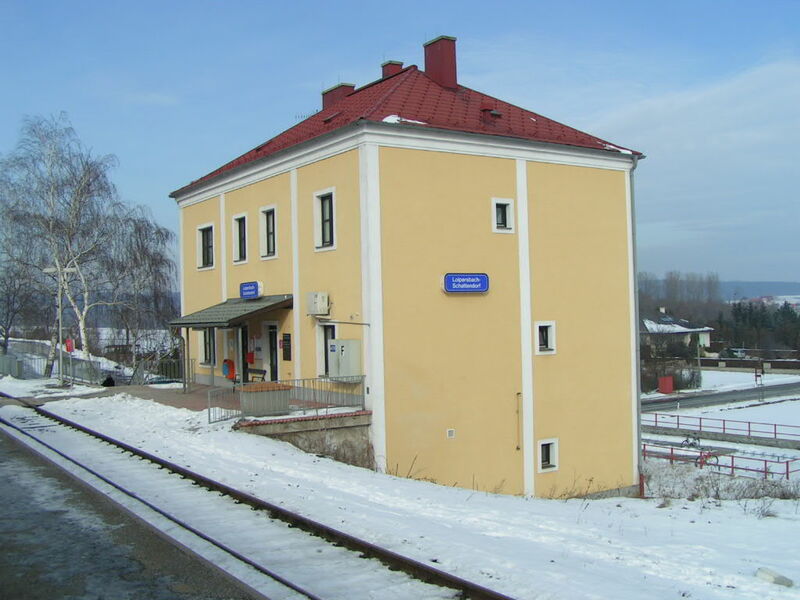 Lambach ÖBB has a huge station building for a place served mainly by stopping trains between Attnang-Puchheim and Wels. 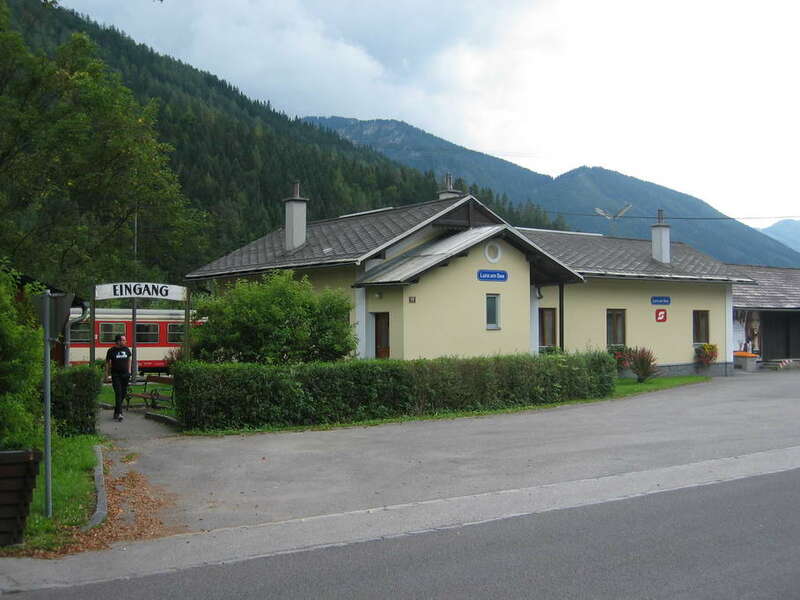 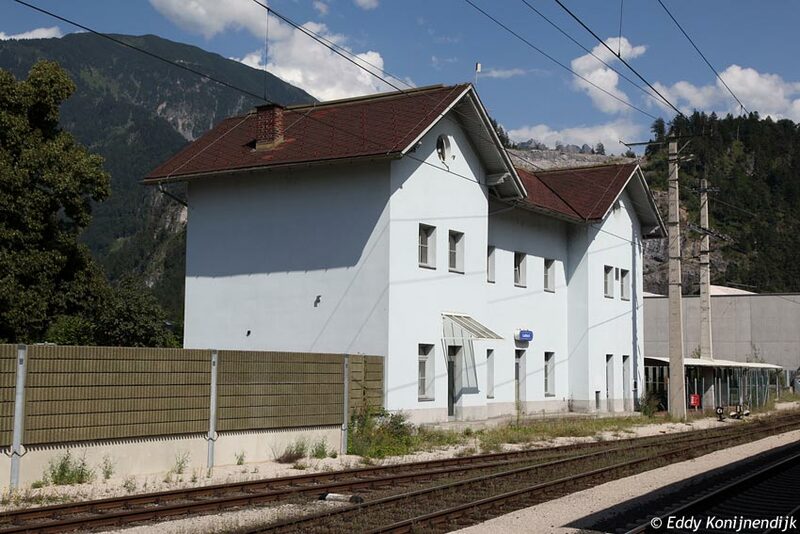 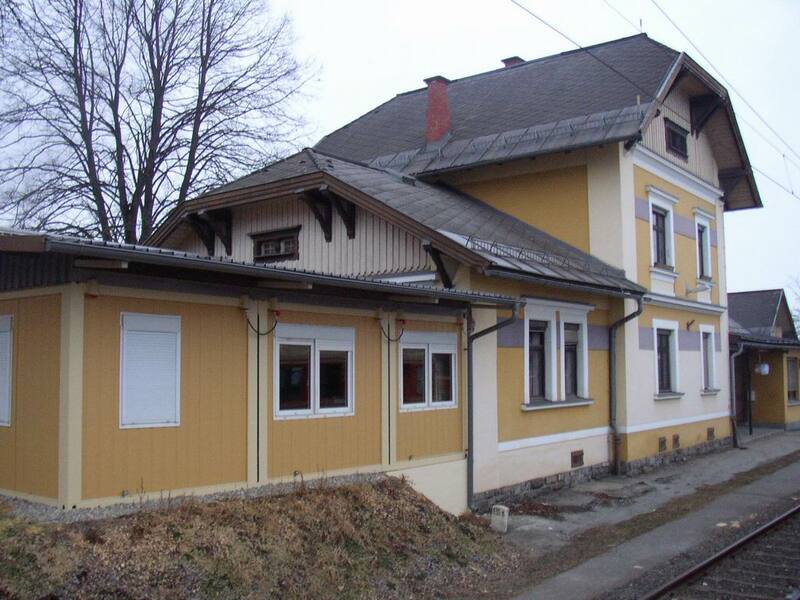 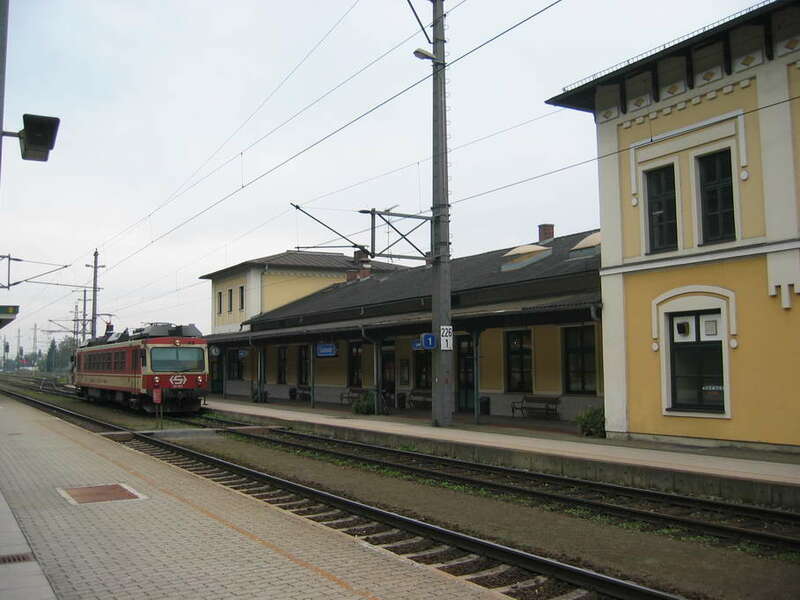 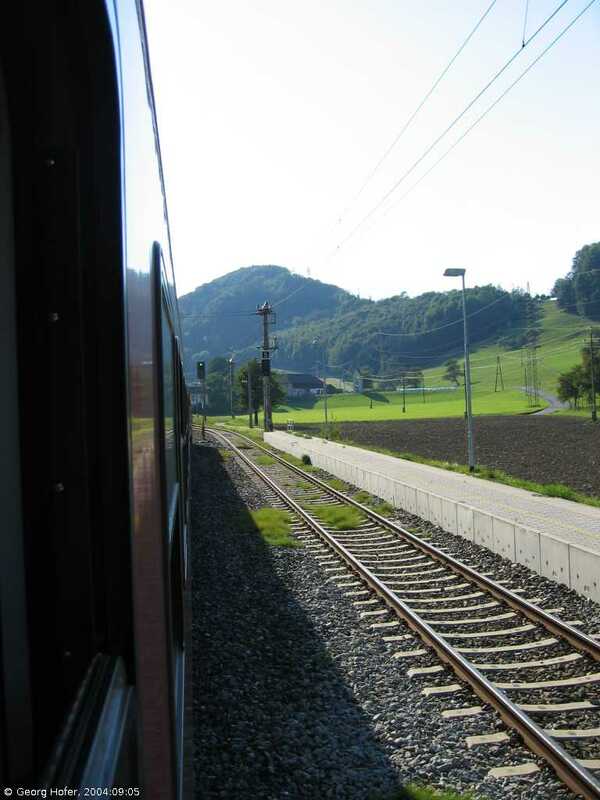 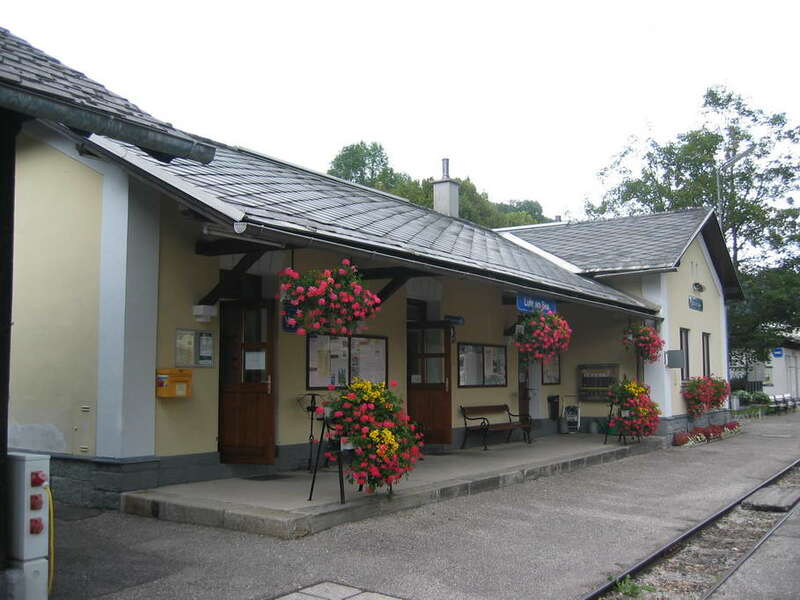 The station is also the terminal for two Stern & Hafferl standard gauge routes to Haag am Hausruck and to Vorchdorf-Eggenberg. 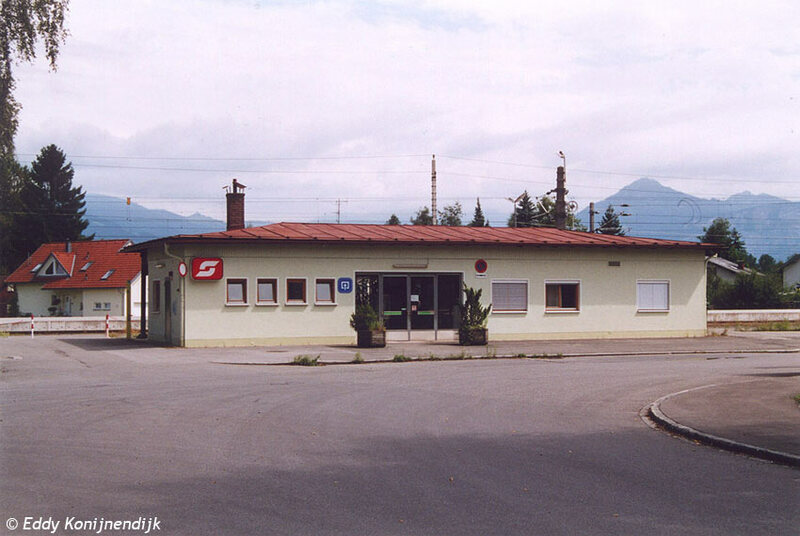 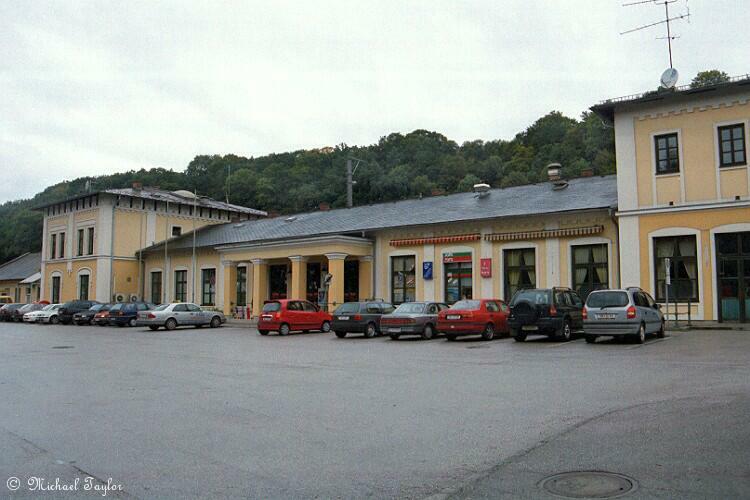 ÖBB railway station Lochau-Hörbranz, 21-07-1998. 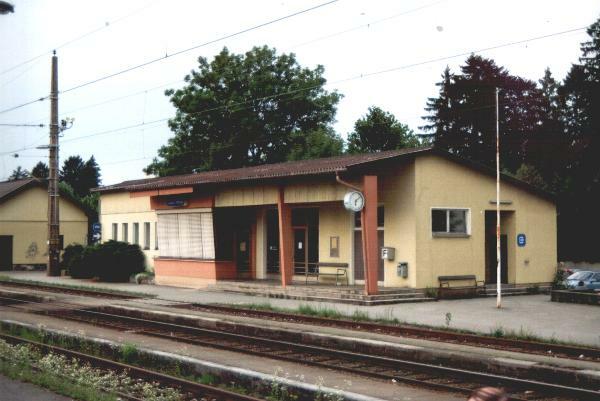 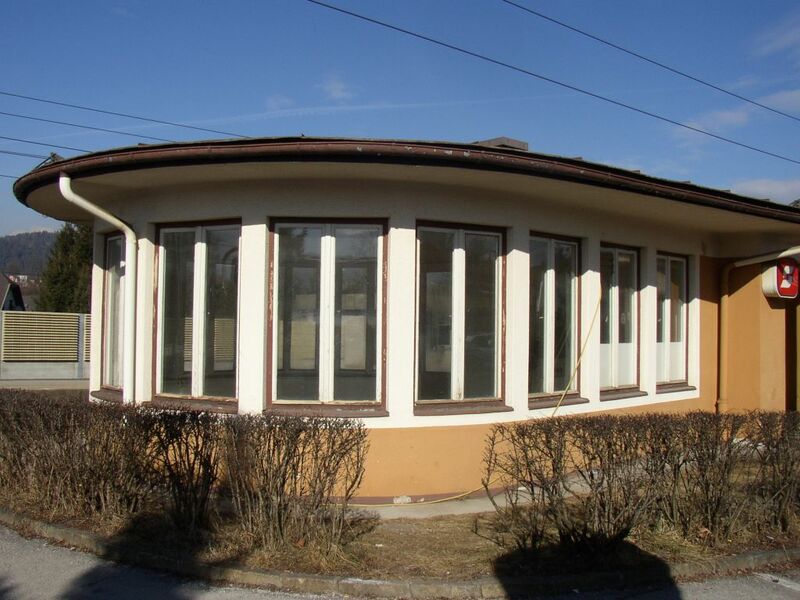 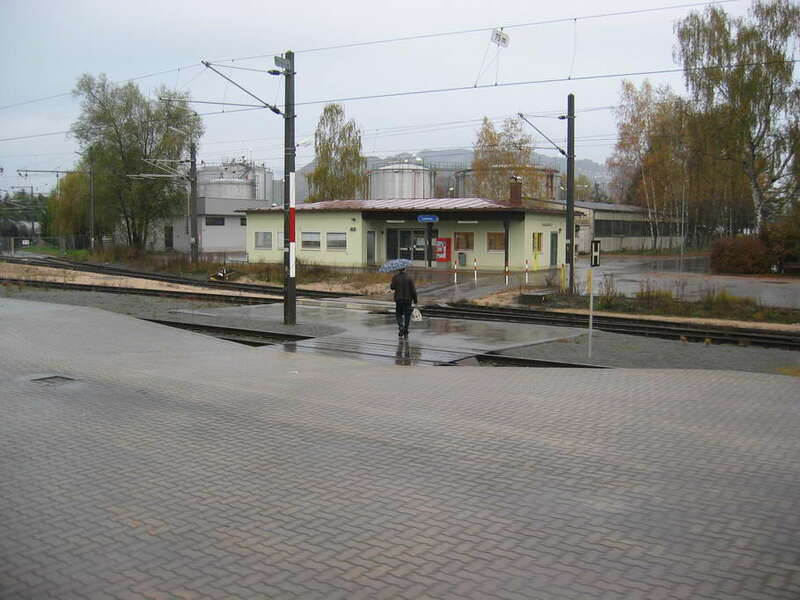 ÖBB station Loipersbach-Schattendorf on the Wiener Neustadt - Sopron line. 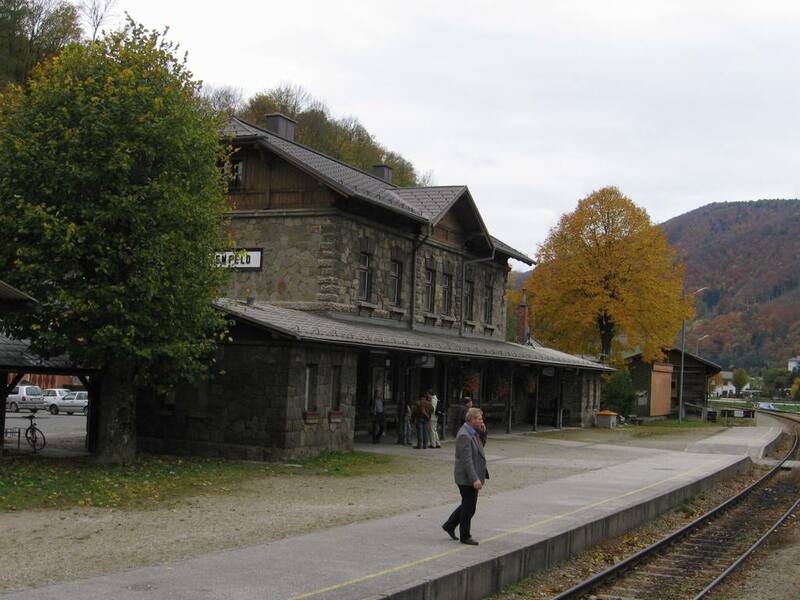 2004-01-31.